Our Malaysian based client is one of the leading manufacturers in condoms. As a country, Malaysia is the world’s biggest producer of condoms with manufacturers contracting to leading personal care brands. Our client saw the opportunity to introduce their own condom brand to the market to capture more of the industry’s value chain. With an ambition to become a leading global mass-market brand, focused on a younger male customer profile, a new brand and packaging suite was required. Malaysia is a conservative country with the median age of a first sexual experience being 23. They have a higher percentage rate in using condoms compared to other nations so it was clear that the message of using condoms did not need to be laboured. The challenge for the brand was to communicate that the condoms are the highest quality in providing protection, without appearing sterile and too functional. It was also important for the brand to express a personality that was light-hearted and appealing to the twenty-something target audience with the undertone that using condoms was being thoughtfully prepared and a sign of confidence. 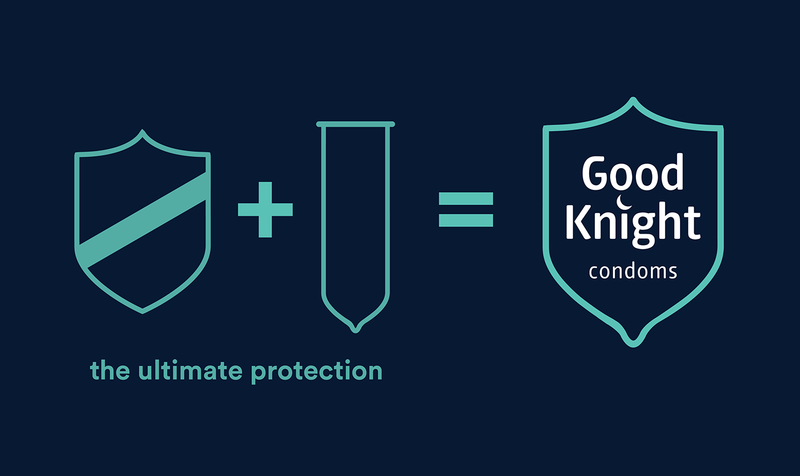 We created the brand name ‘Good Knight’ - a nod to the experience the condoms are intended for but more importantly to show that the ‘Knight’ is about protection and chivalry. The symbol of the shield is a shortcut to communicating protection with the end of the shield rounded off to signify the end of the condom. The execution is paired back and simple, avoiding any obvious category codes or cliches. The masterbrand navy colour dominates on pack, with the shield device carrying the variant colour as well as the sash that stretches across the pack and wraps around the sides of pack. 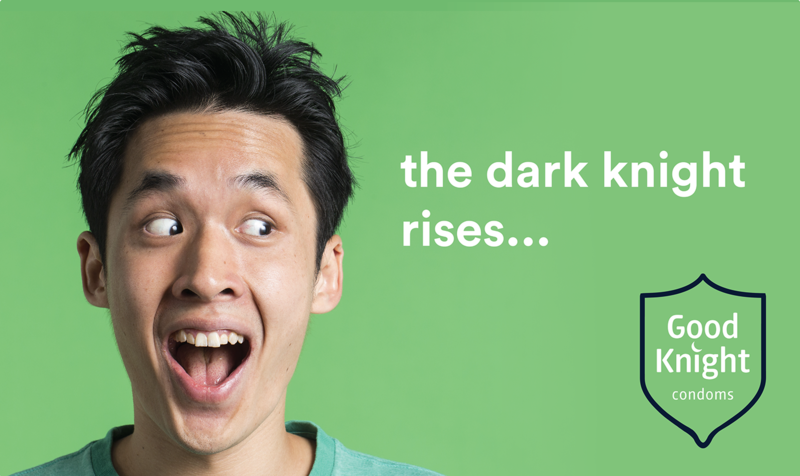 We extended the tone of voice across point-of-sale using the play on words to communicate the light-hearted nature of the brand - making it relatable and relevant.